Disclosure: This is a sponsored post. 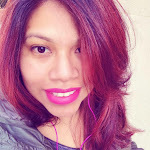 We were invited by Momtrends to attend Liberty Science Center. All words and opinions expressed are 100% our own as always. Summer means fun family days and great adventures. Whether it's a train, bus or ferry ride away. 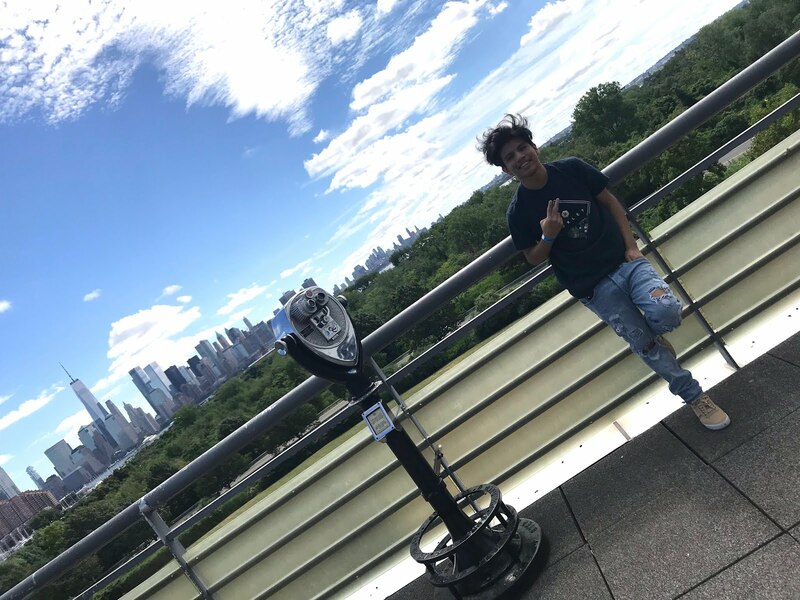 This past weekend we got to visit one of our favorite places, Liberty Science Center in NJ. If you've been following for a while than you know that we always take the ferry, but this weekend was an exception. It was Saturday and with a 65% chance of rain, the ferry was not the best option this time. If you've followed us for a while then you know that we always take the ferry down to LSC. It's a fun and scenic route for the entire family, but this time we thought it would be great to try the NJ transit and that meant taking 1 train, the path, and the light rail. It sounds like a lot but it's actually a pretty smooth way to get there. Not only that, but the kids actually liked traveling this way. We got to check out the newest exhibits and planetarium shows, which includes something for all ages. Our first stop was the Dino Dig. The name says it all, kids get to dig out dinosaur fossils from the sand. This seasonal exhibit is definitely a big hit for all kids, parents not that much because of the sand but just make sure to shake out their shoes after they get out. Valentina loves sand and this was one of her favorite exhibits. Don't worry about the sun, because the area is protected by carps, helping keep the kids stay away from the sun rays. LSC staff is there to help kids with names of the dinosaur fossils that they get to dig out. Before they enter they are also encouraged to put on some sunscreen, for those areas where the sun leaks in. But don't worry if you don't have some on hadn't, the LSC Staff has you covered. They will help the kids put on some of the sunscreen that they have available. Soon after that, they are off with their brushes and ready to dig out those fossils. A lot of fun for the little explorers and future archaeologist in your life. Just look at Valentinas concentration, as she tried to dig out the dinosaur fossils from this sandbox. I loved watching her excitement as she dug out the fossils. After that we got to explore the new Arthurs World Exhibit. A great exhibit for little ones or any fan of Arthur and the gang, It's full fun activities, that includes sing-alongs and spooky story. We especially loved the storybook scenes and characters around the exhibit. They will love seeing the scenes from Arthur come to life, and their imagination will run wild. Miguel was a huge fan of Arthur when he was younger, therefor I had to make sure he took this picture. He might be smiling but I'm sure that on the inside he wanted to turn the other way, lol. Arthur's World will run through September 16th. The second newest exhibit at LSC is Grossology. A very interactive exhibit that is perfect for little ones and older kids. 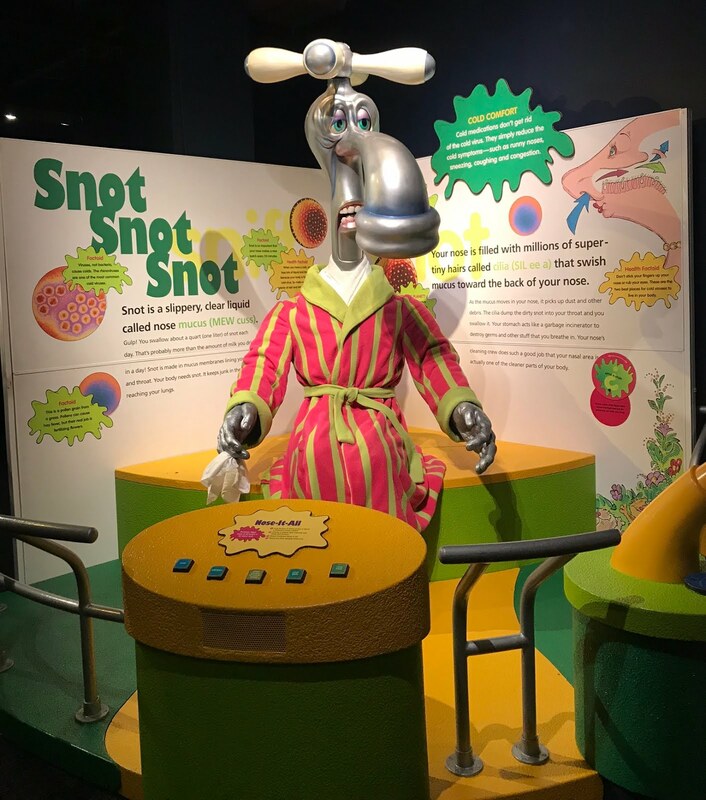 An exhibit that teaches kids all about runny noses, body odor and other fun stuff, through fun activities. Little ones get to slide down an esophagus and even man a barf machine. Yes, kids find all this very fun and even if you flinch a little, you will end up laughing with your kids and might even find yourself smelling some disgusting body odors. Miguel loved playing the Pinball Gas Attack game. The perfect example of how the exhibit has something for all ages. 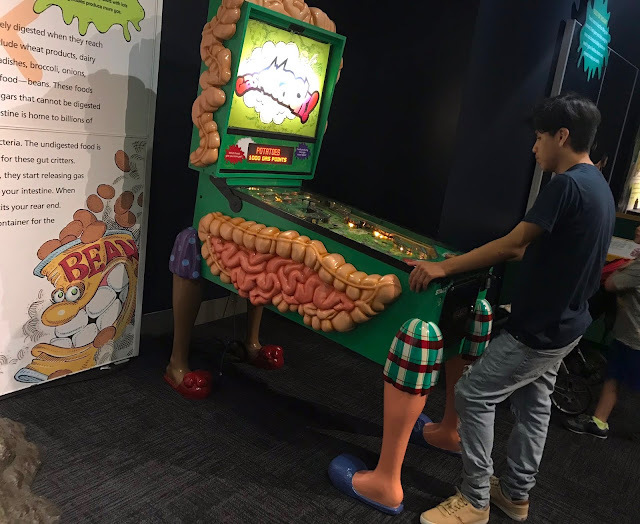 Grossology will run through September 23rd. Miguel loves everything space and was very excited when we finally reached the planetarium and go too check out some of the newest shows that are now available. The Jennifer Chalsty Planetarium is the 4th largest dome in the world, it will have you in awe the moment you walk in. Which makes it a must when visiting LSC! We got to watch the To Worlds Beyond: Journey Through The Solar System. This is truly the next best thing to being able to go to outer space. Miguel was in heaven and Valentina loved watching all the planets. I was just in awe as both my kids, and loved traveling into outer space. The show lasts about 35 minutes, make sure to take a light sweater because it does feel chilly in the dome. For the little ones who love Sesame Street, make sure to catch One World, One Sky: Big Bird's Adventure. Even though I've only mentioned 4 exhibits, LSC is full of family fun. There are live animals, areas where kids can learn more about science by doing some fun experiments. The view is also amazing and you can find a few hidden fun activities around the area. So pack your backpacks and get ready to venture out to NJ for some fun family fun. Dino Dig, Arthur's World, and Block Party are included with your General Admission ticket. For more information regarding hours and prices, make sure to visit the Liberty Science Center website. Before you leave, let me know in the comments below which exhibit you'd love to check out at LSC and you will be entered to win 4 General Admission tickets for Liberty Science Center. 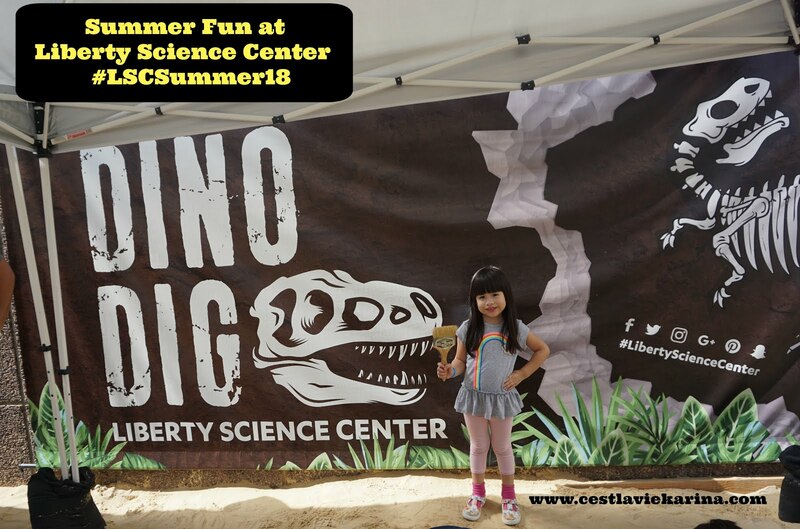 1 comment on "SUMMER FUN AT LIBERTY SCIENCE CENTER #LSCSummer18"